The Hulda Klager Lilac Gardens in Woodland, Washington, USA are THE place to go in our area to buy and see fabulous LILACS at the annual SALE from April 20 – May 12th. Hulda Klager’s hybridization of lilacs began in 1903. Today the Hulda Klager Lilac Society maintains the grounds, including her restored home, woodshed, water tower and carriage barn (gift shop) which are open most days from 10am-4pm for a $3 gate fee. 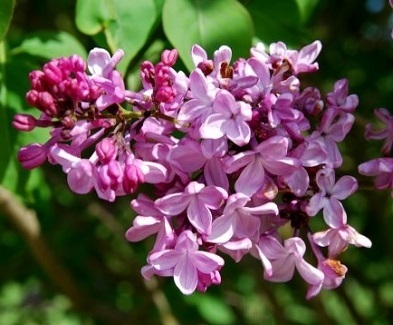 The Lilac Society has also brought back the annual lilac sale every spring – not to be missed! During this SALE the plants and gardens are in glorious bloom and volunteers are available to answer your questions about the many lilac varieties available – small to large, variety of colors, different scents. NOTE: entry fee is $5 at the gate during the sale days; children 12 and under are free. WHERE: 115 South Pekin Road, Woodland, Washington 98674. Previous post ← Greater Portland Iris Society Events – Winter to Spring!